AGIS WS21 Portable Lightweight Power Wheelchair 33KG! 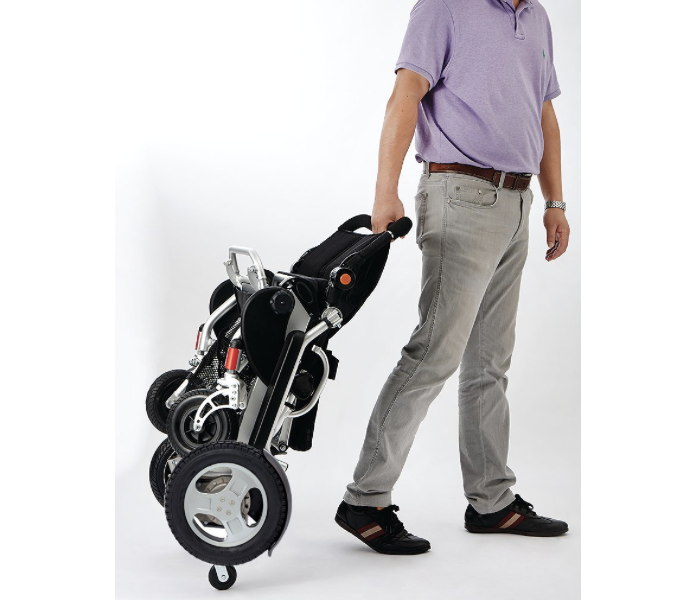 AGIS WS21 Portable Lightweight Power Wheelchair or Electric Wheelchair makes portability and transportation easy and convenient. It can support weight capacity of up to 150kg. It is made with aluminium and well-constructed frames which achieves the solidity and safety. 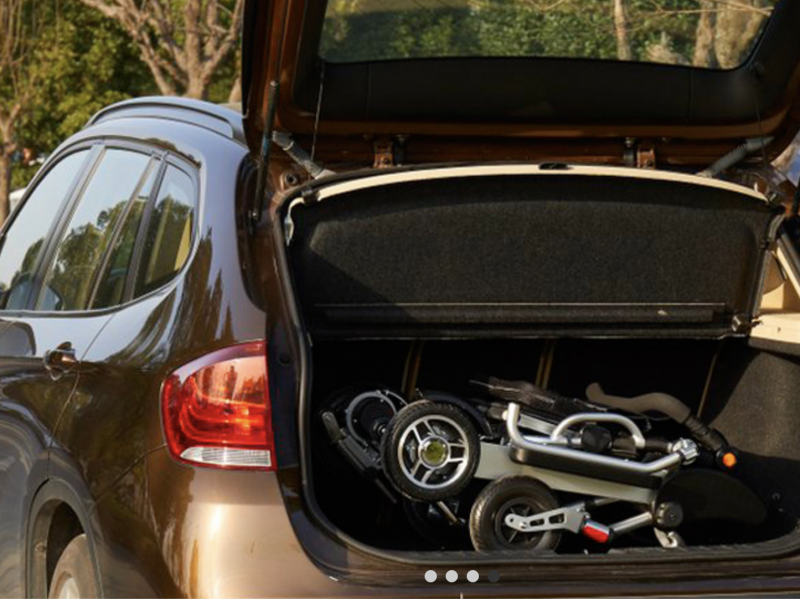 It comes with 12V x 2 – 20AH Lithium battery and has a powerful 24W 250W brushless motor rear-wheel drive. Front wheel is 8 inch and rear wheel is 12 inch. It can travel up to 25km. It comes with a removable cushion and storage bag in case you need to bring some stuff along. In addition, it has a joy sticker controller which can be mounted on the left or right side and comfortable armrest for you to rest on. 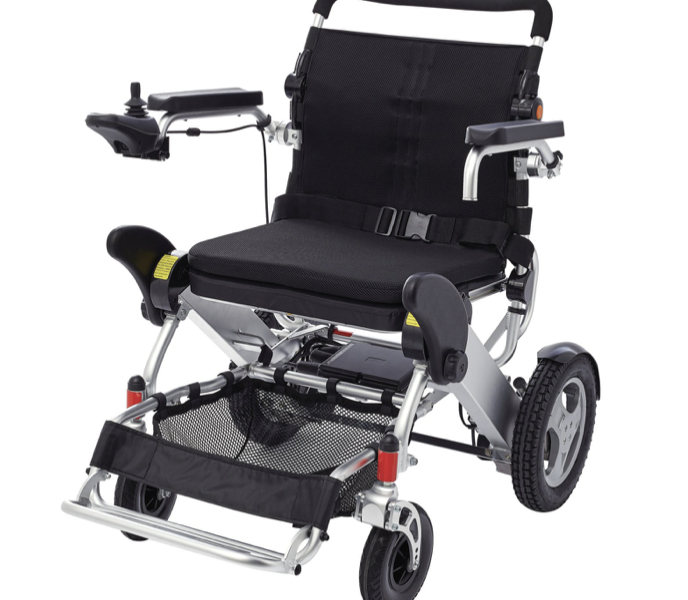 It has 4 position adjustable backrest, adjustable leg guards, adjustable footrest and anti-tipping wheels. Foldable in just seconds and it’s the answer for portability! * All features and specifications are subject to change without notice.